Doing some exercise on a treadmill is a good way to get in shape and burn excess calories. Many people nowadays would prefer going to the gym or jog around the neighborhood just to get some exercise. What if the weather is unfavorable and you just want to stay home? Having a treadmill is a great exercise machine if you don’t want to go out of your house while looking for a way to exercise. Though many people would expect that treadmills can be costly, and the cheap ones would not last for a long time. Luckily, there are quality treadmills that would only cost below $500. Treadmills are the ultimate fat burning machine, eliminating up to 900 calories an hour. So if you are looking for a quality treadmill on a budget, here are the top 7 best on the market today that is worth investing. When looking for a good treadmill to buy, the Confidence GTR Power Pro will not disappoint. This electric treadmill is designed for home use. Features an adjustable manual incline, 1.5hp motor, a multi-function LED display with pulse monitor and can be folded down for easy storage. Runway Size: 43.5" x 15.75". Full product size: 52" x 25.2" x 52". Folded dimensions are 54 x 25.5 x 23 inches. The weight of the machine is 62 pounds, weight and size of the delivered package are 56" x 27" x 11" 68 lbs. Treadmills in this class will last 2-5 years as long as you are familiar with proper usage and maintenance. 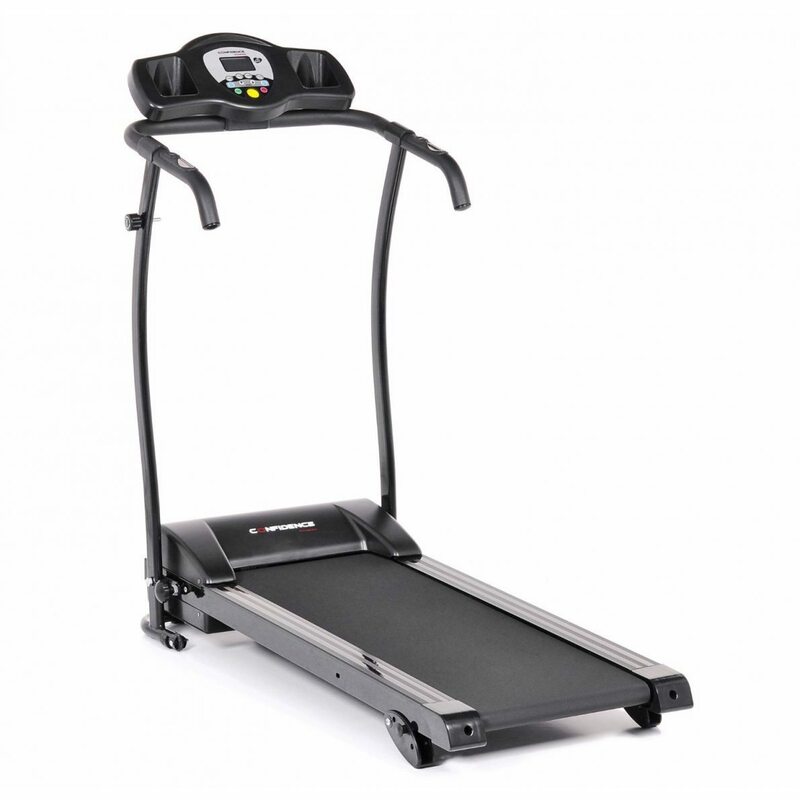 The Weslo Cadence R 5.2 is another quality treadmill that will fit your budget. It features a 2.5hp Impulse Max Motor that delivers power for interval, speed, or endurance training which also reduces noise as it cools internal components and is perfect for light or intense workouts. A 2-position adjustable incline that can increase results and decrease impact on your joints equals to greater incline is a double win. Comes with a large LCD monitor to tracks your speed, time, distance, and calories burned, making your training that much easier. A comfort cell cushioning reduces the impact on your joints for a more comfortable workout and faster recovery time between workouts. With a folding design, the Space Saver treadmill you free up precious floor space. Product dimensions are 67 x 30 x 10 inches and weigh 118 pounds. The Sunny and Fitness Treadmill is a great cardio workout without the use of clunky, space-crowding equipment that also offers plenty of options to keep your workout effective and fun. 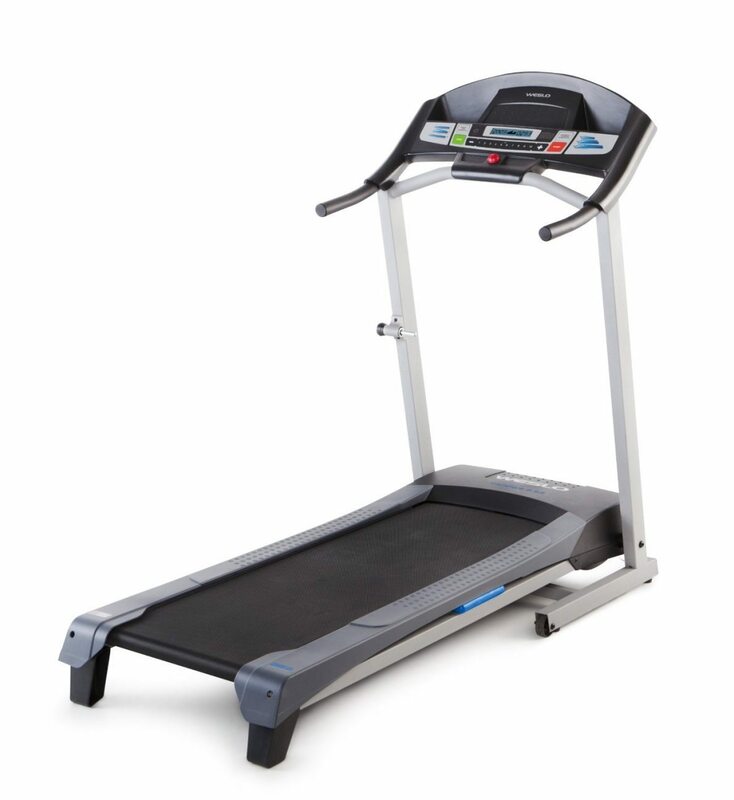 This treadmill features 2.20 Peak HP drive system with 15.75in x 48.82in running surface, Handrail controls that allow you to control speed, start and stop, Easy folding mechanism and soft drop system to help you unfold your treadmill safely, 9 Built-in workout programs; large LCD display and smartphone/tablet holder, and 3 options of inclines levels with a max user weight of 220 pounds. Product Dimensions are 65 x 28 x 12 inches and weigh 119 pounds. This is a great value for the money. It's about a third of the price of the large, expensive treadmills sold today. This is a great treadmill if you're looking to create a treadmill desk. 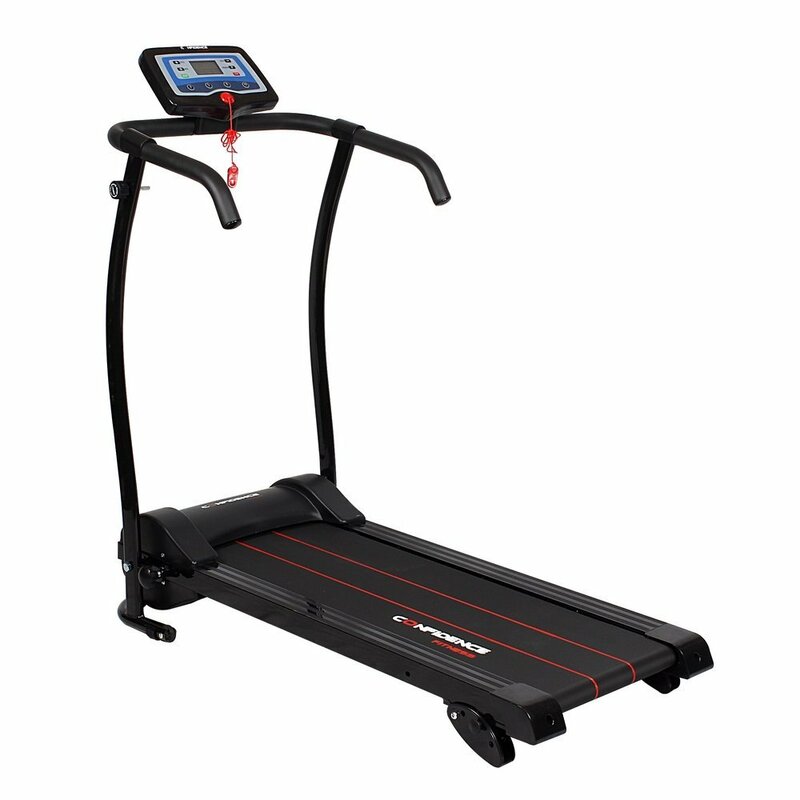 The ProForm Performance 300 Treadmill features a 2.0 CHP Mach Z Motor coupled with a 10% Quick Incline Control, 16 Preset Workout Apps, Large LCD Window, and 10 MPH QuickSpeed Control. It also features an 18 x 50 inch Tread Belt, TreadSoft Cushioning, Crosswalk Upper-Body Arms, EKG Grip Pulse Heart Rate Monitor, IPod Compatible, SpaceSaver Design, and a 300-pound weight capacity. 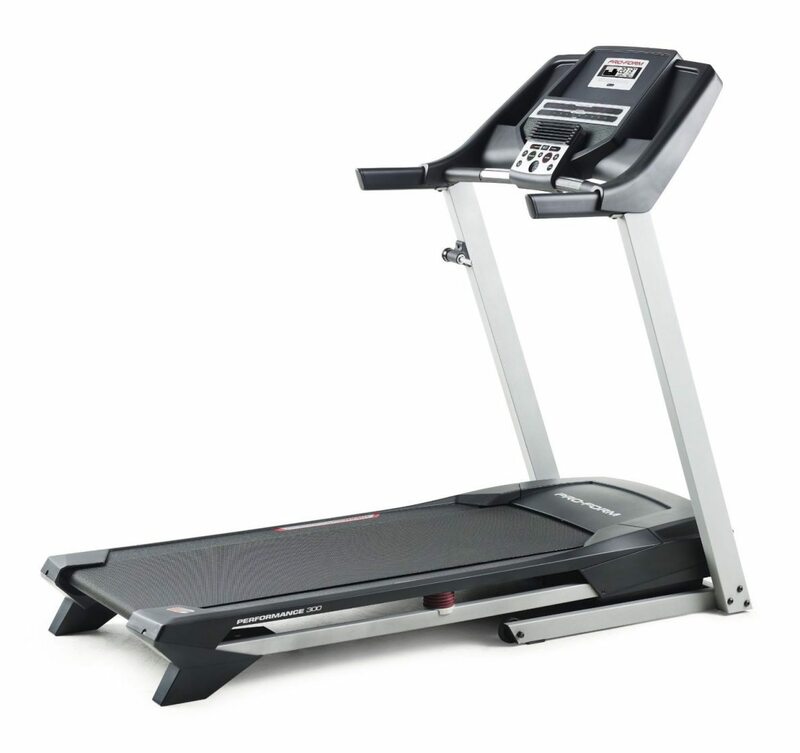 This treadmill is protected by a 5-Year Frame & Motor Warranty and 90-Day Parts and labor warranty. So if you want to get some exercise during the winter season, this treadmill will definitely will be a good investment. When you are looking for a way to strengthen many key muscle groups in your body, then the Weslo Crosswalk 5.2T Treadmill is the one you need. You can choose between four quick pre-programmed workout apps if you're short on time but are determined to be more active. 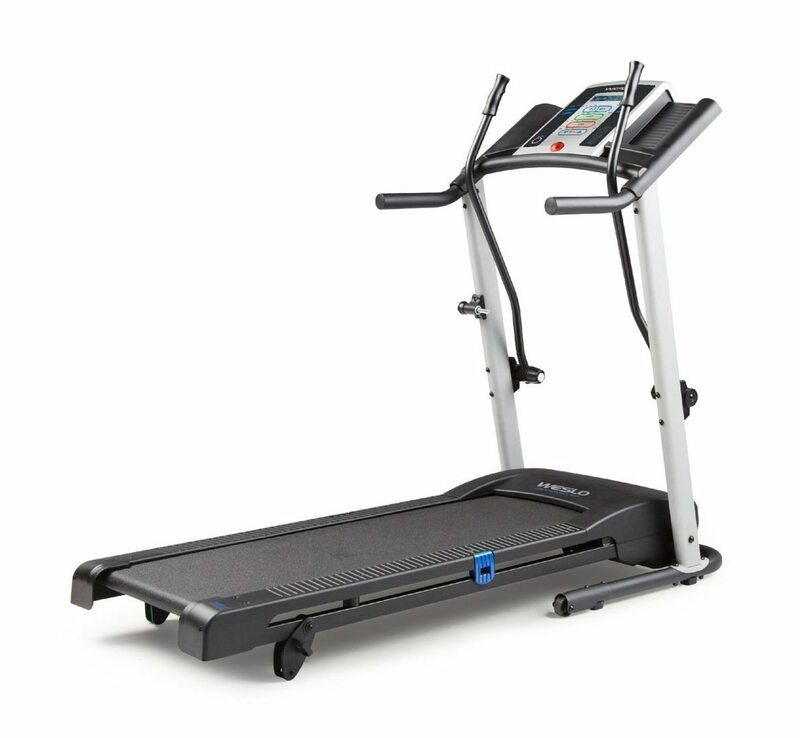 It features 2.25hp Impulse O Motor, 16 x 50 inch Tread Belt, CrossWalk Upper-Body Arms, 2 Position Adjustable Incline, Comfort Cell Cushioning, SpaceSaver Design, LCD Window, 10 MPH Digital Speed Control, 4 Preset Workout Apps, Thumb Pulse Heart Rate Monitor, and a max weight capacity of up to 250 pounds. This treadmill features a compact, foldable design, making it a good option for those with limited space. The Confidence Power Trac Pro is designed to be affordable and brimming with features. It features a 600w motor capable of up to 6.2mph speed, 12 built-in fitness programs, four quick-select pre-set speeds: 1.86mph, 3mph, 4.9mph, 6.2mph, Adjustable manual incline: 5 degrees, 3.5 degrees, 2 degrees, and an LED display shows: speed, distance, time, calories. Other features include a runway size of 14 x 39 inches, 22-inch folding arm length, and a max user capacity of 265 pounds. Product dimensions are 49 x 24 x 47 inches and weigh 52 pounds. All in all, this is a great value for a budget small electric treadmill. 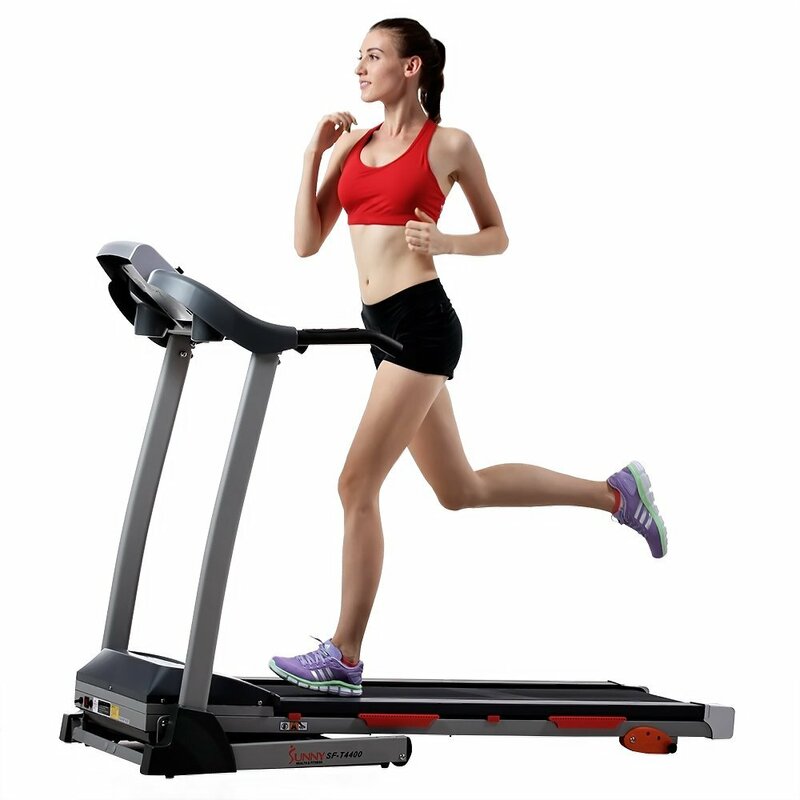 The Exerpeutic Fitness Walking Electric Treadmill is for anyone who is just starting an exercise regimen to advanced athletes looking to maintain their fitness level. It features a 1.5 HP motor for reliable performance; Ground-level walking surface and wide side rails, LCD displays time, distance, calories burned and speed for easy reference, 4 MPH maximum speed, folds for space-saving storage and moves easily on built-in wheels, and a 350-pound maximum user weight. 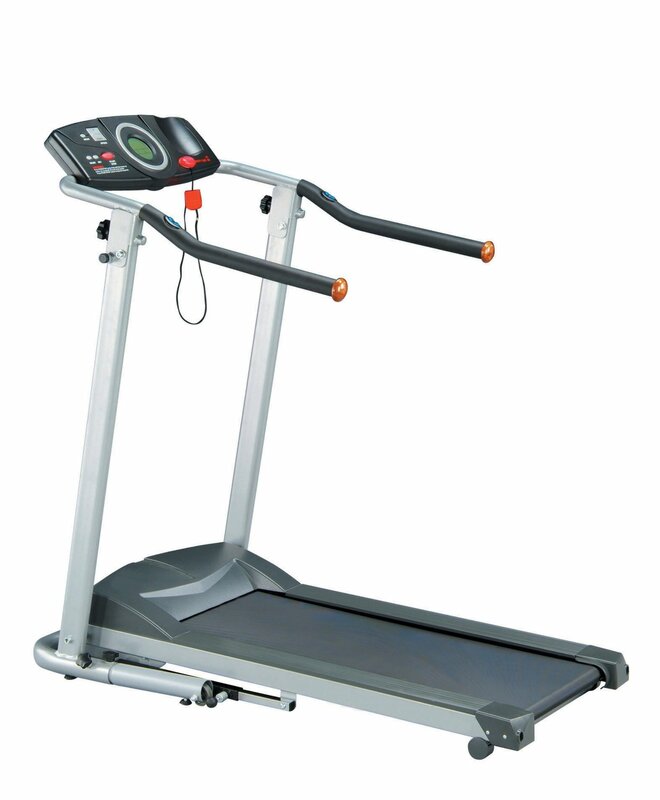 This treadmill comes with a 1-year warranty for frame and five years for the motor. The speed adjusts in increments of 1/10 mph up to a maximum of 4mph. At 4mph, the user can achieve a very rigorous fitness walking workout without needing to run. Looking for a basic treadmill? Check out this one. No frills, level walking area, monitors time, distance, calories & walking speed perfect getting some exercise indoors.